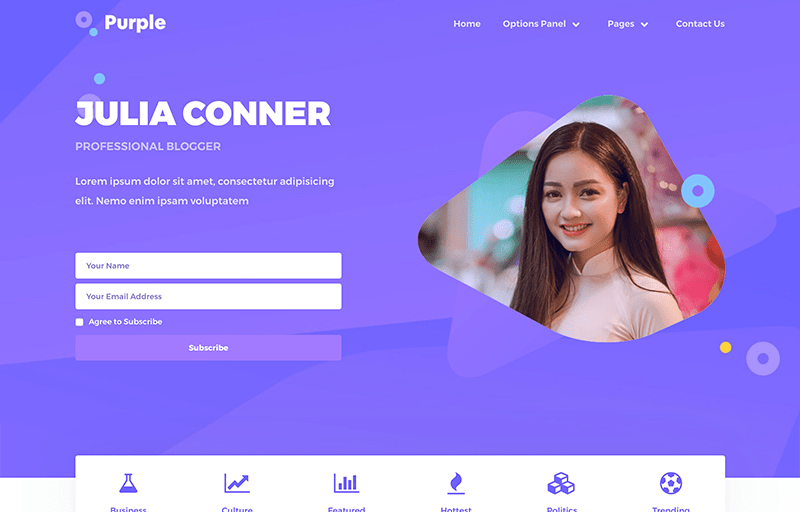 7 Best WordPress themes for newly starting blogs. 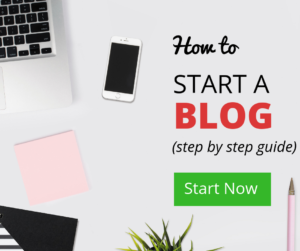 If you are starting your blog first time, then its most frustrated first question comes in mind to choose your site design. I know because its same with every new blogger. That’s why today I am gonna choose some most elegant themes for your dynamic upcoming blog. Choosing a theme is so crucial thing to decide your site’s future. Many unresponsive and badly coded themes may harm you site and its business too. You will have to need many things in coming days. But first let us talk about some best themes. 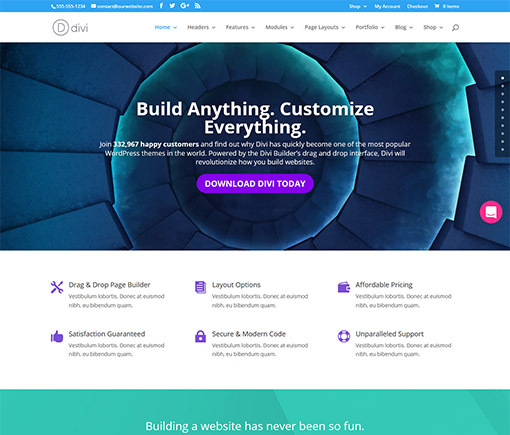 Divi has brecome most successful WordPress theme in the market. It has already crossed 500,000 customers running their websites using divi. Custom design with easy to use page builder and many other features won’t let you get bored with designing. Divi gives total control of your website in your hand. Just drag and drop every section on your web pages. They regularly update with new layouts and designs for your websites. There are already hundreds of modules available. You will get some new designs for free on every divi update. You just need to buy this theme at $69. And everything on your fingertips. 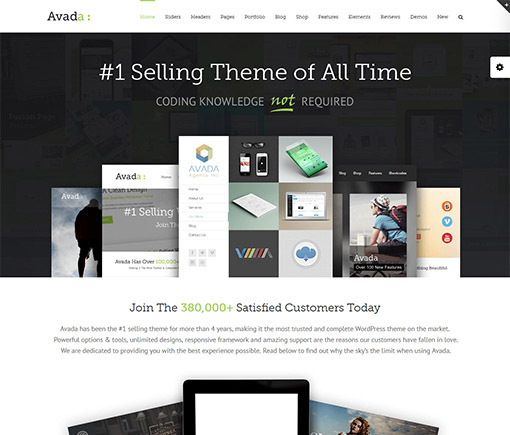 Avada is another multi-tasking WordPress theme. It makes your site more appealing and gives a professional look. It is the most selling WordPress theme due to its easily usable functions. In short, nobody wants to learn those boring codes to design their website. You just can download this theme for $60 and can use all of its features. It also provide 3 custom plugins to maximize your customization skills. Furthermore, Fusion Builder, Fusion Theme options and Fusion Page are those three plugins which make your designing work more easy and comfortable. 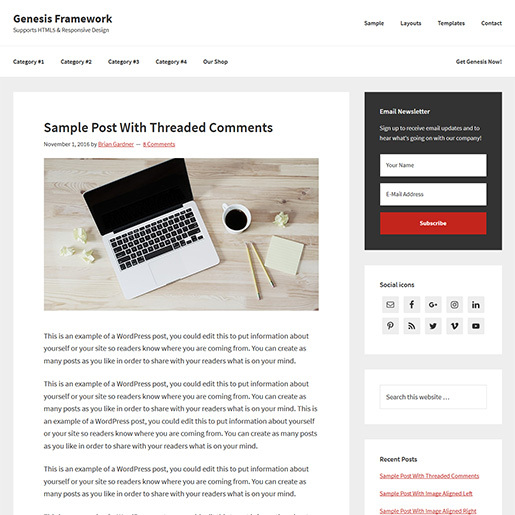 Most of the successful blogger presently using genesis framework to design their websites. It has been proved that genesis is most trusted framwork to develop your sites. Genesis is created and presented by Wpengine which offers seriously professioanl services for WordPress users. You can manage your pages with different type of page layouts. It provides you a secure and SEO friendly website design with highly responsive designs. It will take your website at place where you can never thought. 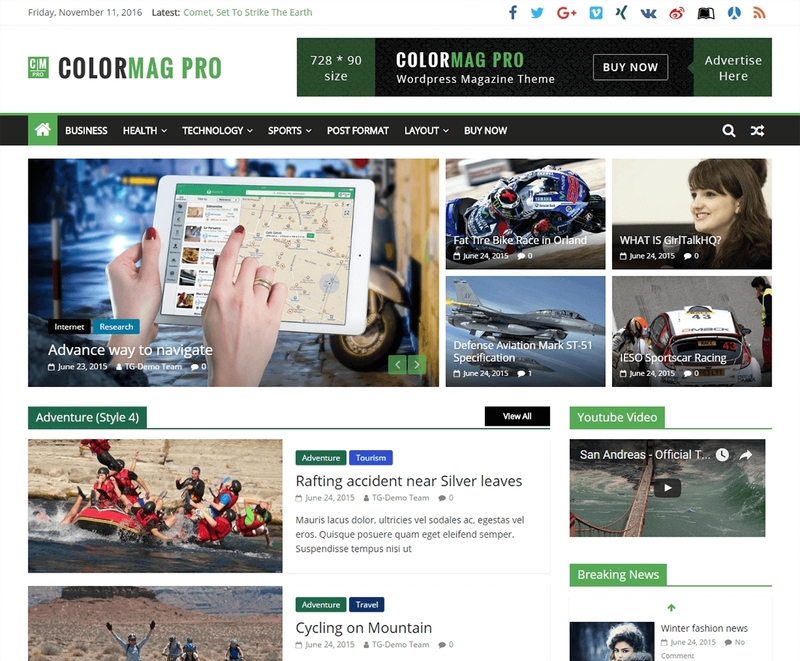 ColorMag Pro is a new but huge popular WordPress theme. It’s been crossed 100,000 downloads as well. Its a magazine speciality theme. Magazine websites mostly prefer this theme. It’s an ultimate responsive and mobile-friendly theme for any WordPress user. It can change its shape and size immediately according to mobile, tab or desktop screens. It has also some advanced features to enhance your typography. Many different fonts and text size are available to make your posts more attractive. You will also get 15 additional widgets to add more options onto your site pages. Purple is perfect wordpress theme for those who are planning to open a blog or business website using WordPress. It will create adorable online presence for every blog business. You can easily setup all payment delivery options if you want to start an online store too. Purple theme comes bundled with options to optimize the loading spees of your website. Purple has the best of both worlds. It is user-friendly, loads fast, has an attactive color scheme, converts unlike anything you have ever seen, and it is 100% SEO-friendly. It has different collection templates to show multiple products on the page. Moreover, It provides 10+widget areas, 12+ custom widgets, advances typpgraphy, slider images etc. This theme also give you live theme customizer that means you can change your page layouts on with live preview. Sansational is the most popular theme presented by mythemeshop.com. It has many classic premade layouts available for you. You just need to download and install the theme. Most significantly, they provide it at very low cost. They have never ending discounts on theit theme. You can easily buy amazing themes in around $10 – $20. At the time of writing this post, sensational is available for $19. Though it may change its price anytime. 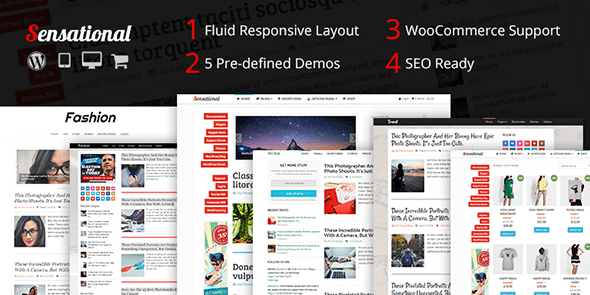 Sensational is fully responsive and SEO optimized theme. It will bring your website at a level of awesomeness. In addition, you can choose from different color options and layout styles to build a perfect website. 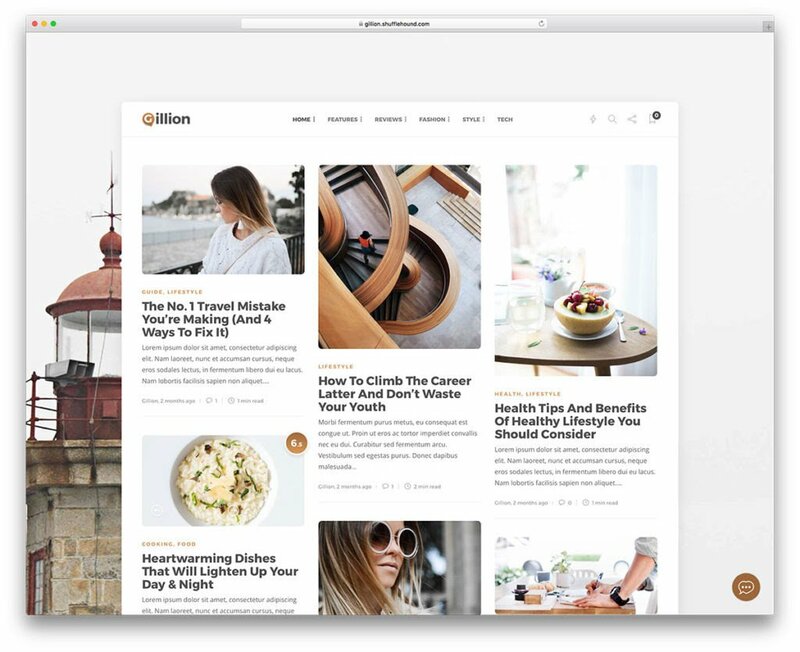 Gillion is an magazine and blog specialty WordPress theme by themeforest. Its most trending theme on their site because of dynamic, classic look. Using this theme, you will add a professionality into your website. Working by this theme on your site is super easy. It has 6 layouts to post your blogs with unlimited color effects. It has minimal customization confusions. You just can drag and drop your content anywhere on your site. Build a SEO-friendly, Smooth and elegant blog using this ultra dynamic WordPress themes. These are some of the best WordPress plugins available in the market. If you are planning to create a dynamic website. Then you should choose from one of these themes. 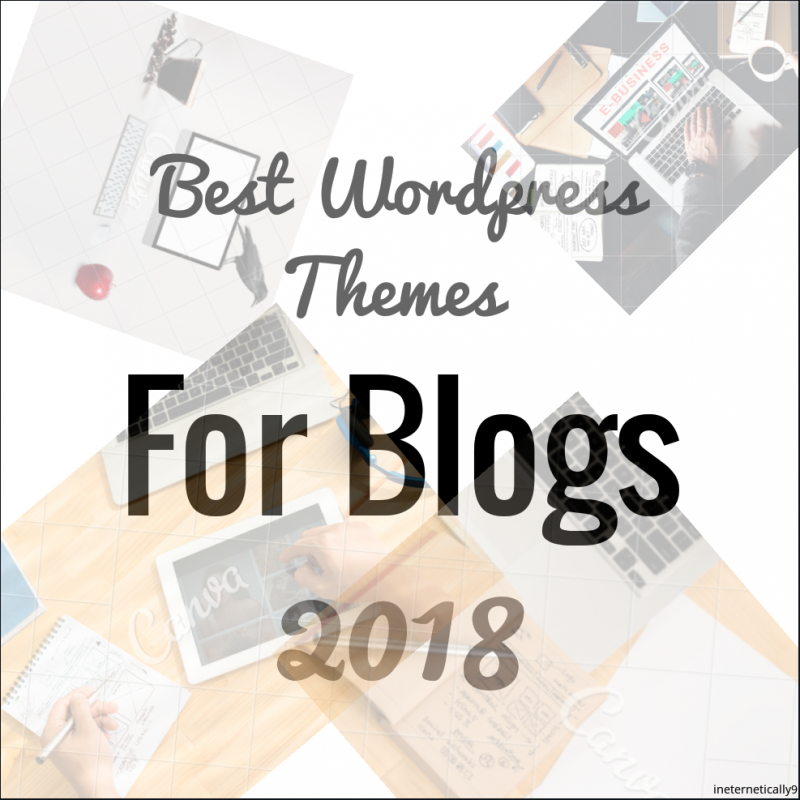 However, if you are just starting your blog and your budget is tight then you should definately choose a free WordPress theme. Here you will get some clean and nice designs. I Hope guys you like this post with some amazing theme options. If you want to see more attractive articles like this. Don’t forget to subscribe our newletter.